​Barcelona have ended their pursuit of Paris Saint-Germain midfielder Adrien Rabiot due to the options already at the club. 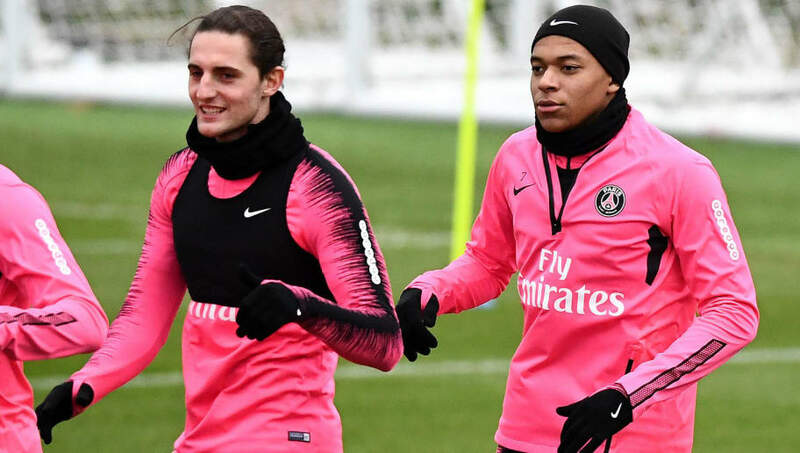 Rabiot, 23, is out of contract at the end of the season, and hasn't featured for Thomas Tuchel's side since a brief cameo in a 4-1 win against Red Star Belgrade in the Champions League on 12 December. However, he has been included in their squad for the competition's knockout stages. claim that the Catalan side are no longer interested in bringing Rabiot to Camp Nou. According to the Spanish outlet, Barça consider themselves well-stocked in central midfield for the future, with Frenkie de Jong, 21, joining at the end of the season from Ajax after agreeing an €86m deal. The report also claims that the recent displays of Barcelona's academy graduate Carles Alena, 21, who has impressed during his 14 appearances in La Liga, the Champions League and Copa del Rey this season, has led to Spanish side's interest in Rabiot go cold. It's unclear however whether Barca could reignite their interest in Rabiot - who has six caps for France's national team - should Ivan Rakitic leave the club this summer, with ​the Croatian linked with a move to Serie A side Inter, despite both his agent and himself talking up the prospect of remaining with the reigning La Liga champions. ​According to reports, Spurs saw a move for Rabiot fail in the January transfer window, but are still highly interested in securing his services for next season. While Barcelona may no longer be interested, Liverpool are believed to be keen on the Frenchman, with the player apparently a fan of Jürgen Klopp.